Scoring a double victory under extremely challenging conditions on the historic Watkins Glen circuit in the USA, Porsche celebrated its greatest GT success so far this season. Heading to the next round of the Tudor United SportsCar Championship at Mosport/Canada on Sunday, Porsche’s Head of Motorsport Dr Frank-Steffen Walliser reflects on the triumph at the six-hour classic in an interview and talks about the importance of motorsport to Porsche, the technology transfer between motor racing and production, the success of Porsche’s junior development programme and customer racing around the world. Dr Walliser, how would you evaluate the success at the most difficult race of the season by now in the USA? This coming Sunday it’s Mosport. What improvement can you make until then? After a first half of the season without any wins, is this the breakthrough? As the Head of Motorsport at Porsche, you are also responsible for the GT road cars. Does this mean that during the week you build street cars and on the weekend you take them racing? Which is the dream job? This constellation must surely help the technology transfer between motor racing and production. Does the technology transfer happen in the opposite direction – from production cars to motorsport? What importance do you attach to hybridisation in motorsport? “We regard ourselves as pioneers. With the 911 GT3 R Hybrid, we fielded a hybrid GT race car back in 2010 already. It underlined its huge potential and as a result it was the source of ideas for the 918 Spyder and the Le Mans winning 919 Hybrid. Hybridisation is also conceivable in GT racing. But if such a regulation was to be put into force now we wouldn’t have any competition. Our opponents have not yet reached this stage. So it’s not high on our list of priorities, particularly because the topic is completely covered at Porsche by the 919 Hybrid. In terms of GT racing, my prognosis is that something might happen in five to six years. In general, how does Porsche benefit from motor racing? Sitting in the winning car at Le Mans were Earl Bamber and Nick Tandy, two drivers who were practically trained in the Porsche brand trophy series. Why does Porsche put so much emphasis on developing young drivers? The winning 911 RSR at Watkins Glen was campaigned by the Falken Tire customer team. How important is customer racing at Porsche? What makes it so attractive for teams to put their trust in Porsche? 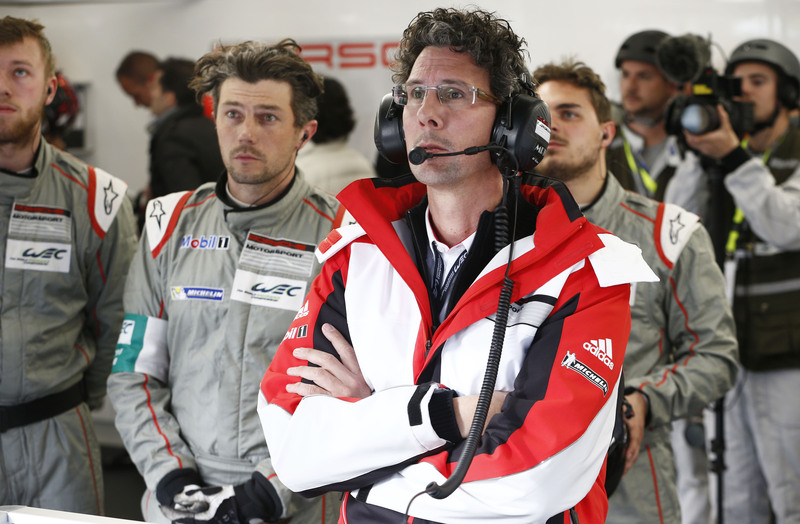 Do customer teams also provide feedback from their experiences which bring Porsche Motorsport forward? ← 25th anniversary Silverstone Classic celebrates Chevron’s Golden anniversary!